When wearing contact lenses your eyes will sometimes become sore and dry. Use eye drops to get instant soothing relief from this irritating side effect of wearing lenses. We stock a variety of different eye drops designed to treat a variety of different symptoms, including dry eyes, allergies and infections. We stock all the most popular eye drops brands for when you need some soothing relief from dry and irritated eyes. 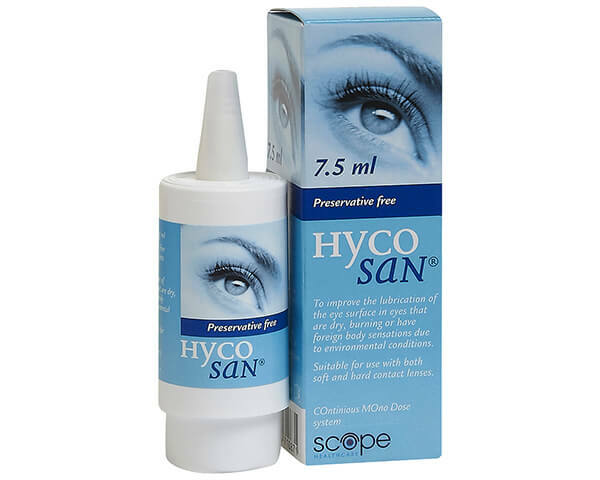 Find the best products from trusted eye care brands including Blink Contacts and Hycosan. Our exclusive everclear eye drops are also extremely popular. Made only using natural ingredients, they're ideal for soft contact lens wearers. If you wear silicone hydrogel or hydrogel lenses such as Acuvue Moist or Dailies AquaComfort Plus, everclear eye drops are a good option. Most of our range comes in a handy travel-sized bottle that fits easily in a handbag or pocket, meaning you never need to be caught without your lenses. Sometimes opticians prescribe eye drops for severe eye conditions. Our range of eye drops are all considered 'over-the-counter' products and are designed to treat common eye problems, like when they feel dry or irritated from your contact lenses or allergies. If your eyes start to feel worse, however, you should visit a doctor who can recommend suitable prescription eye drops. It's quite common to experience dry eyes when wearing contact lenses. However permeable its surface, a contact lens acts as a barrier to the eye, limiting the amount of oxygen which can reach the eye. Also, more people than ever work in an environment which can put strain on eyesight. Using a computer screen for long periods, not getting enough sleep and dehydration can all lead to dry eyes. What isn't commonly known is that dry eyes can actually impact the quality of your vision too, as well as lead to discomfort. To counteract dry eyes, eye drops provide lubrication by adding tear elements that are the same as those found naturally in your eyes. This is why eye drops are sometimes referred to as 'artificial tears'. And just like natural tears, eye drops are perfect for keeping your eyes moist and hydrated over the course of the day. Steer clear of using decongestant eye drops for dry eyes. These are designed for red eyes and can exacerbate dry eyes. If your dry eye symptoms aren't going away using lubricating drops, visit a doctor or an optician and they can recommend something more suitable. Red eyes can be painful and distressing. The condition can be caused by tiredness or focusing for long periods of time, using decongestant eye drops can help you get a more healthy, white appearance. If your red eyes don't improve from using eye drops or get worse, you should seek medical advice. 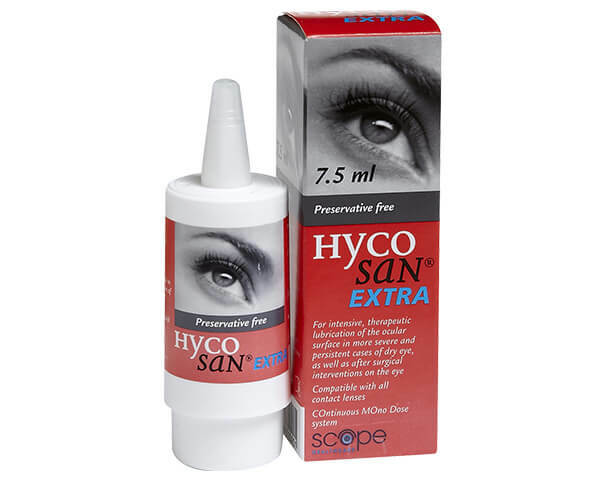 If you have red eyes we can recommend using dry eye drops first as they can sometimes be a result of dehydration. Most wearers have experienced dry eyes at some point. To lower your chances of getting dry eyes we suggest taking at least one day off contact lenses a week, to allow more oxygen to reach your eyes. Fortunately, you can treat dry eyes quickly with eye drops, to ensure your eyes feel healthy and your vision perfectly clear. Once you've applied eye drops a couple of times, you'll find it quick and easy to do. If you are unsure, follow these simple steps as recommended by our head optician. These eye drops, exclusive to Vision Direct, offer fast and effective relief to dry or irritated eyes. Unlike some eye drops made with preservative, which can irritate the eyes, everclear Eye Drops have 100% natural, herbal ingredients.These eye drops are perfect for providing you with a fresh feeling and comfortable eyes whenever you need it. If you often experience dry eyes, then these preservative-free eye drops are perfect for soothing them. This formula boosts your eye's natural eye moisture functions meaning that the relief you get from using them feels natural and lasts longer than other products on the market. 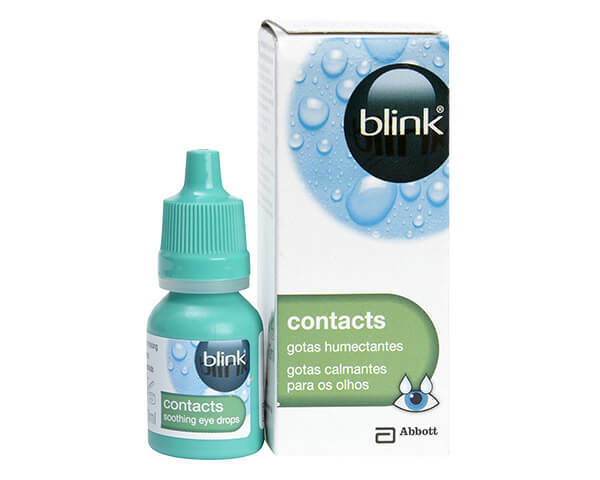 Blink Contacts eye drops aim to mimic the eye's natural tears to provide instant moisture that will make your contact lenses feel more comfortable. When your lenses have started to dry out simply use these eye drops for soothing relief. Whether you wear soft or RGP lenses, these eye drops are perfect for keeping you comfortable throughout the day. 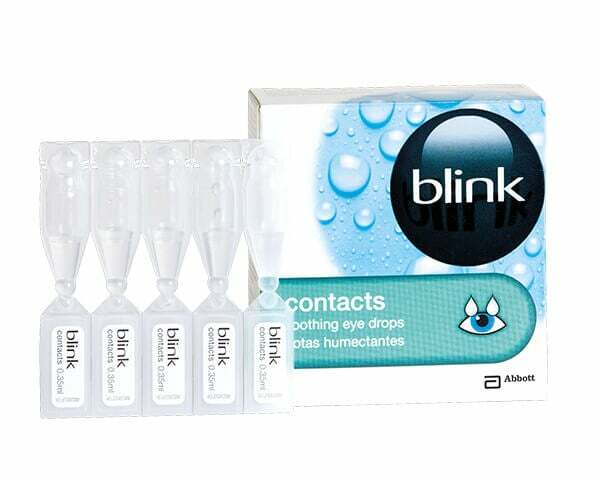 Blinks Contact Vials are an extremely convenient way to get instant relief when you're suffering from dry eyes. Each pack comes with 20 small vials filled with a solution that is perfect for soothing and hydrating dry and tired eyes. The vials are perfect for carrying on you, so you can get relief on-the-go as each 0.35ml bottle fits easily into your pocket. These eye drops are designed to tackle the most extreme cases of dry eyes, so, if you regularly experience them, they can help you avoid the discomfort. Each bottle contains enough eye drops for up to 5 weeks of regular usage and will last for 6 months after opening. If you need any advice about how to buy your contact lenses or solution online, we're here to assist you via web chat, phone or email. Got a question about ordering from Vision Direct? Check out our handy how to guides.